Collagen allows keeping the skin properly moisturized. Allantoin content ensures instant regeneration of the cuticle and soothes irritation caused by work in especially adverse conditions. Disposable gloves protect skin during the procedure, they provide safe and hygienic work. 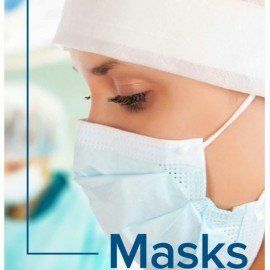 Nitrile powder-free gloves with a cosmetic layer (collagen and allantoin) on the inner surface, recommended especially for users with dry and rough hands, sensitive to irritation. 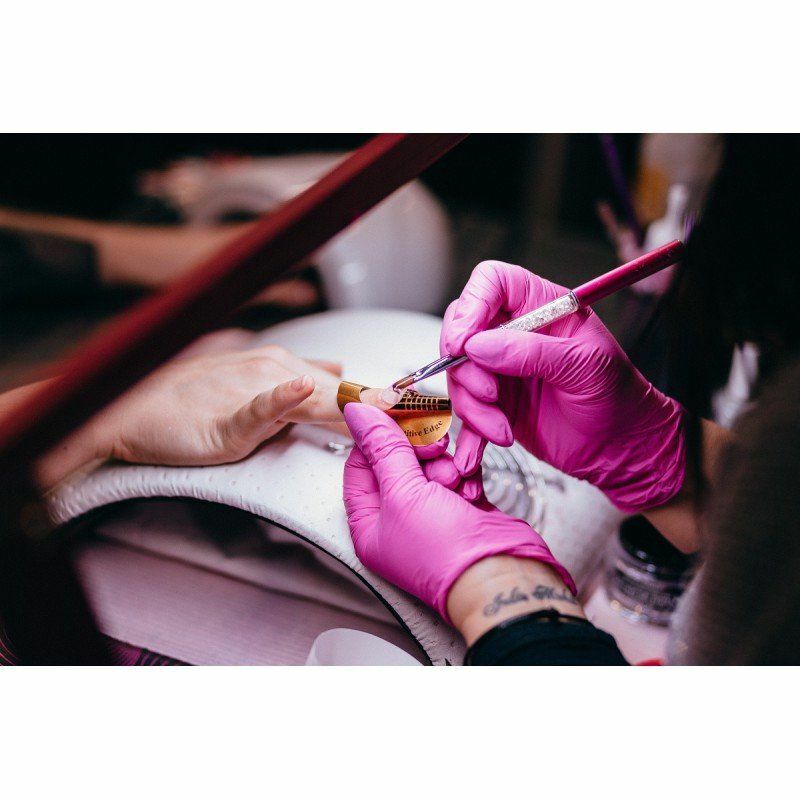 Recommendation: children’s wards, dentistry, nursing care, laboratories, beauty and hair salons, diagnostics, veterinary medicine, contact with selected chemical substances, contact with food, small assembly works. 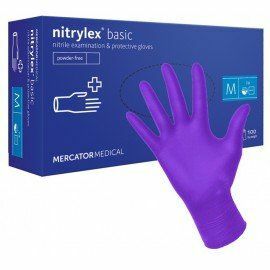 Medical nitrile gloves Nitrylex Collagen PF in pink color - recommended for medical and cosmetic offices Medical nitrile gloves are a product intended for hand protection during diagnostic work. The product works well in an environment where the hands are exposed to harmful substances. Two-handed gloves allow good grip of objects and control of hand movements. They owe this to the textured tips, which also affects the precision of work. 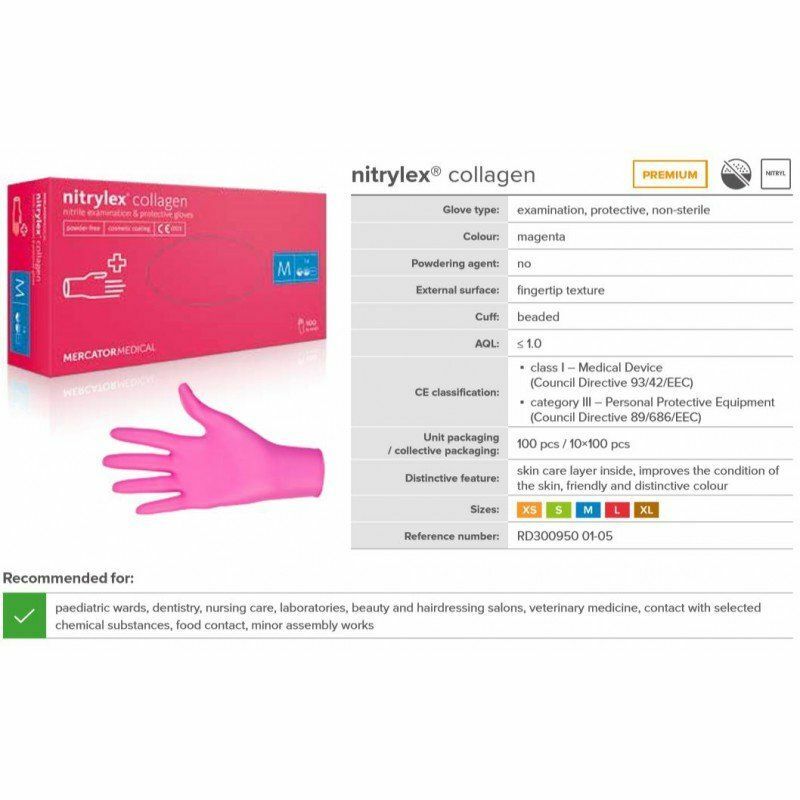 An additional advantage of Nitrylex Collagen PF gloves is covering the interior with collagen and allantoin. They are moisturizing agents that minimize skin irritation and care for them at the same time. They do not have latex, so they can be used by people who are allergic to it. Non-sterile and disposable gloves are available in pink color and sizes XS-XL .. Gloves allow for contact with food.